Following on the heels of his meetings with a number of Middle East leaders, President Barack Obama is en route to Egypt where, on June 4th, he will deliver a much anticipated speech to the Muslim world. Already the topic of great speculation, there are several elements that should be considered by both The President and his audience in anticipation of his remarks. First, expectations for the speech are high, and not without justification. Throughout his short, but extraordinary, career, Obama has displayed a penchant for taking on big issues with big speeches. He rebounded from a defeat during the Presidential primaries with a remarkable speech in New Hampshire that helped to define and infuse new hope into his campaign. When confronted with a media assault over his pastor’s intemperate words, that threatened to derail his campaign, Obama responded with an inspiring speech on race, so insightful and eloquent that it will be quoted for generations. As President, he has also taken on serious challenges with major speeches. His remarks before a joint session of Congress provided the new President the opportunity to lay out his plans to respond to the growing economic crisis. More recently, Obama travelled to Notre Dame University, the nation’s premiere Catholic university, to appeal for greater civility and understanding in addressing the controversial issues of abortion and stem cell research. And when opponents persisted in deriding his decisions to ban the use of “enhanced interrogation techniques” and to close the prison facility at Guantanamo Bay, he confronted his critics directly in a speech delivered from the National Archives. With the original US Constitution and Bill of Rights as a backdrop, Obama made clear that his decisions to stop torture and indefinite imprisonment without judicial recourse were grounded in core American values derived from our Constitution. With this background, it is reasonable for many across the Arab world to assume that Obama is coming to Cairo to deliver a “big speech.” He has, after all, been planning and talking about this for over a year, since he first announced during the campaign his intention to travel abroad to speak directly to the Muslim world. 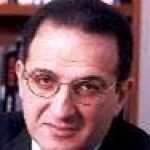 And since he is going to Cairo, at the heart of the Arab world, it is also reasonable that there are high expectations that the President will speak about the core Arab concern–”the Israeli-Palestinian conflict, and not in passing. The regional context demands much more. This introduces a second set of factors that need be considered. President Obama’s election created hope among many Arabs and Muslims, but not all. A recent poll we, at Zogby International, conducted in six Arab countries shows that in Morocco, Lebanon, Saudi Arabia and the UAE, Obama is viewed quite favorably, and there is appreciation for early steps he has taken to restore America’s image and rebuild US-Arab relations. But in Egypt and Jordan, deep skepticism remains. Therefore, when the President travels to Egypt, it is important to recognize that he will face a nation hardened in its negative view of the US and its role in the region, and unconvinced that this or any American President can or will change policy. Most Egyptians still view the US unfavorably. Three-quarters give President Obama a negative job rating for his first three months in office, and the same percentage say that they do not believe that he will be “evenhanded in dealing with the Arab-Israeli conflict”–”the issue which almost 6 in 10 Egyptians say is the most critical challenge facing their region. All this points to the steep hill which President Obama must climb as he struggles to convince a weary Egyptian and Arab public that he is committed to changing direction in the wake of failed US leadership that preceded his ascent to the Oval Office. While he might have faced a more supportive audience in the United Arab Emirates or the Kingdom of Saudi Arabia, it is Egypt where attitudes toward America are harshest that Obama faces his greatest challenge, and it is here that the US President has chosen to deliver his speech. It is Egypt that is allied with the US, shares borders with Israel and has signed peace agreements with that state. It is in Egypt that public opinion has been the most soured by Israeli behavior (especially in the wake of the Gaza wars of 2006 and 2009), is least convinced of the prospects that a just peace can be established and of the ability of the US to be evenhanded. All this being said, it is precisely because of the persistence of these strong negative attitudes that Obama’s decision to go to Egypt was the right choice. It is there that the US President must convince skeptical Arabs that the change he promised is real. Given Egypt’s sheer size and the importance of its role in the region, if President Obama can’t sell his message there it may not have its desired impact anywhere. What emerges from these considerations is the fact that despite the many domestic challenges facing this new President, he is determined to confront, head-on, a major foreign policy issue and to do so, as he did at Notre Dame, directly and dramatically. And he has chosen to do this where the audience may be the hardest to convince and where the change he has promised is most urgently sought. This is why expectations are high and dare not be let down. This speech must be more than banal clichÃ©s (“we are not at war with Muslims”) or a repetition of hollow visions. It must be bigger, more consequential and more substantial. It is a tall order, but given Obama’s modus operandi, I’m counting on him to prove me right.